When you want the perfect shampoo for your foam gun or foam lance the Chemical Guys HoneyDew Snow Foam is a great choice. The close-grouping cleaning bubbles form a dense cluster of foam coating your vehicle top to bottom in suds. You'll love the way the suds cling to the exterior and start breaking up contaminants instantly. It can help loosen and remove road grime, brake dust, industrial fall out, bug smear and so much more. Despite it's strong cleaning power it's actually a pH neutral formula that will not strip off any sealant or wax so it's a great maintenance shampoo. It works extremely well in the Gilmour Foamaster II Foam Gun but the traditional two bucket method can utilize this shampoo as well. 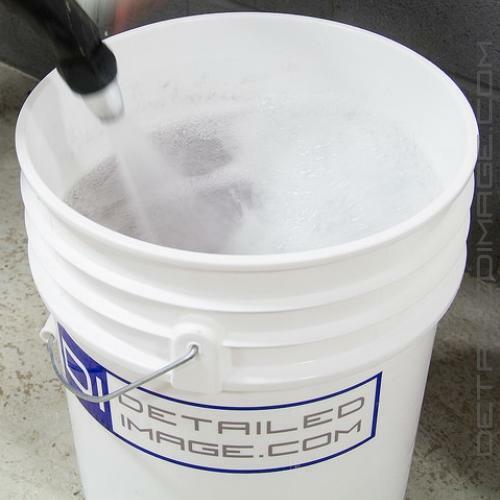 It can be diluted 1100:1 (water:shampoo) or simply use one cap full with a 5 gallon bucket for maximum value. There is no one right dilution ratio so feel free to try a richer concentration until it meets your needs. HoneyDew is known as a hyper-foaming shampoo because of it's unique PPM (Parts Per Million) formula that produces millions of close-grouping bubbles. The blanket of foam this shampoo leaves behind is really like nothing you've seen before. On top of that the universally pleasant scent instantly brings a smile to your face the second you open the cap. 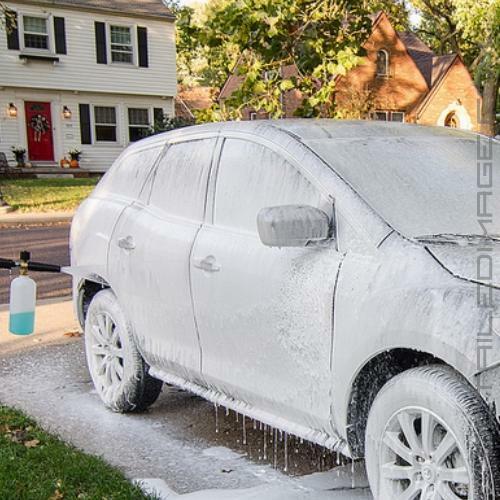 Try the Chemical Guys HoneyDew Snow Foam today and you'll love starting a foam party on your vehicle's exterior. Chemical Guys HoneyDew Snow Foam shampoo is the real deal! Let me tell you, the suds in the bucket were THICK! While washing, I noticed a much smoother glide leaving me to believe that I wasn't really touching the car, which is a good thing. I rinsed the whole car...wouldnt you know it, tons of beading still on the car leading me to the conclusion it was gentle enough not to diminish the protection, yet cleaned extremely well! If you're looking for a versatile maintenance shampoo, HoneyDew Snow Foam is a great choice! 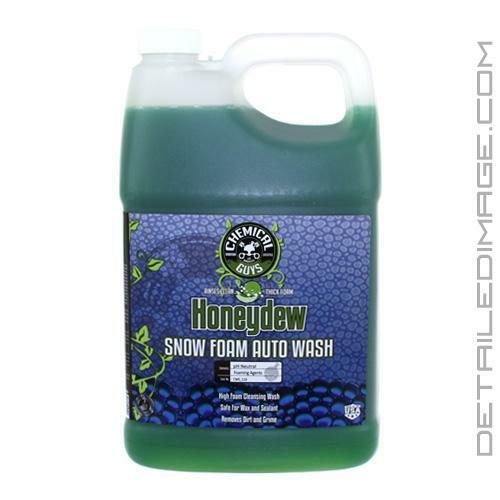 Honeydew Snow Foam is a super foam auto wash that removes dirt and grime to deliver a brilliant shine. The unique shampoo uses advanced foaming technology to capture and gently rinse away dirt particles. Honeydew Snow Foam works great with any foam gun or foam cannon for the ultimate touchless wash. 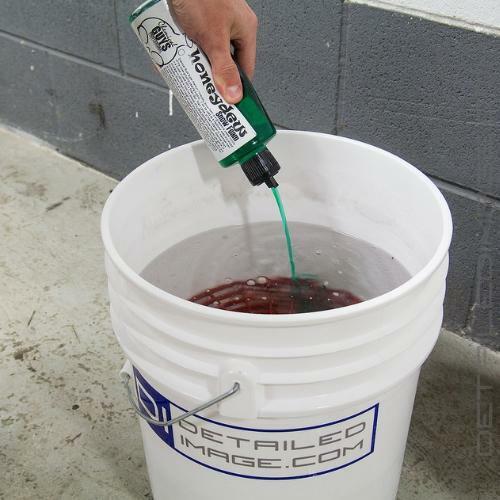 The pH balanced formula rinses clean and is the perfect choice to maintain wax or sealant. The innovative auto wash uses foaming agents to create an extra thick foam to cleanse paintwork while removing tough dirt and debris. Honeydew Snow Foam is designed to wash any vehicle while providing a spot-free finish. The high viscosity auto wash clings to the surface allowing the wash mitt to glide gently over the vehicle. Honeydew Snow Foam is extremely effect at removing road grime for a clean and bright finish. Wash away dirt and debris with Chemical Guys Honeydew Snow Foam. Add 1-2oz. of Honeydew Snow Foam to 5 gallons of water. For best results, add 1-2 oz. of Honeydew Snow Foam to Chemical Guys foam cannon or foam gun and fill the rest with warm water for a high foam touchless wash. I like the fact that I can use it in a foam cannon or in a bucket. Awesome stuff it is the shi#! I'd recommend this to anyone.